(i) LensRentals use unprocessed raw files for their results and generally m43 lenses tend to need assorted nasties processed out (distortion and CA mostly), which will mush up the resolution somewhat when it happens, FF lenses don't REQUIRE this (you can do it, but the squishing needed will be less as the lens is designed to be okay without it). So let's have a look at that issue in some detail. You say that "generally m43 lenses tend to need assorted nasties processed out (distortion and CA mostly)". I suppose you are referring here to things that are automatically software-corrected by at least some MFT bodies for at least some MFT lenses. If so, then "distortion and CA mostly" should be replaced by "distortion and CA only". The next question is, when does this happen? You say "generally". Well, lateral CA is autocorrected only when a Panasonic lens is used on a Panasonic body. It follows that only Panasonic lenses are designed to be autocorrected for lateral CA. Those from other brands, e.g., Olympus, Sigma, and Cosina-Voigtländer are not. What about distortion? Well only lenses with an FL from about 25 mm downwards require such correction. Above that point, there is usually so little distortion that no correction is required. Now how does this affect the tests of LensRentals, where lateral CA and distortion remain uncorrected even in those cases where it is meant to corrected? What is the effect of leaving lateral CA uncorrected on a lens designed to have it software-corrected? Well, the MTF test results will be worse, not better, than they would have been if the CA had been eliminated. So there is in this case a bias against, not in favor of, certain MFT lenses. What about distortion? Those MFT lenses that have most distortion (WA primes and zooms with a WA component when used at the wide end) tend to have about five percent. What about comparable FF lenses? Well, they tend to have less but not a whole lot less. Consider for example the Panasonic 7-14/4 versus the Nikkor 14-24/2.8. The 7-14 has 5.2 percent barrel distortion at its widest setting. The corresponding figure for the Nikkor is 4 percent. In both cases, you would want to have that distortion corrected and the Nikkor would suffer almost as much loss of resolution from that correction as the Panasonic. How big is the loss and where does it happen? It happens towards the corners and in the extreme corners it will amount to approximately what the distortion percentage figures indicate. So feel free to subtract a percentage point or two more from the extreme corner resolution figures for MFT WAs (not other lenses) compared to what you would want to subtract from their FF counterparts. Regrettably, I can't give you a corresponding numeric estimate for the amount of compensation required in the opposite direction for lenses designed to be software-corrected for lateral CA without being so in the MTF tests conducted by LensRentals. "My own opinion is when I look at Imatest data comparing, say Nikon or Tamron lenses on a D800 I feel pretty comfortable that measured differences have some real-world correlation. I’m not as comfortable that holds true if I compare different systems." and concludes by saying that "It amuses me that a couple of weeks ago I wrote about the new 24mm and 28mm Canon IS primes that I felt were overpriced at around $900, yet I believe this $900 lens is well worth the price (if you can get it for list price). This lens is built better and is arguably sharper." On top of that, I think have dealt with the substantive points on which Roger's reservation as quoted above rests in earlier as well as later parts of this post. If anything remains unclear in that regard, please don't hesitate to bring it up though. If you had looked at my first post in this thread, you would have seen that I already suggested a second one, i.e., Lenstip. Could you please list allthe lens tests sites you look at? You are of course free to leave whenever you want to. The primary reason why I keep up the debate is not that I hope to convince you personally. Rather, I am writing for the benefit of those people, like the OP, who have an open mind and are ready to weigh the validity of the arguments that can be advanced for and against a certain point of view. (Edit) Just noticed on my first point he also says: "Another aspect is many, perhaps most m4/3 lenses have significant distortion. Correcting this in post reduces sharpness. So a lens with sharper numbers may not really have sharper images if a lot of that resolution is used up correcting distortion." "m4/3 has a corner sharpness advantage because of the shape of the sensor – corners are less far away from the center proportionately, particularly horizontally. In Imatest, particularly, whether a 4:3 or other proportion chart is used for the test can accentuate this." Is he right? The answer is no. Different formats are defined by the diameter of their image circle. For FF, it is 43.2 mm. For MFT it is exactly half that value: 21.6 mm. This is why we say that MFT has a crop factor of two. In an FF 3:2 image, the distance between the extreme corners and the center is half the diameter: 21.6 mm. In an MFT 4:3 image, the distance beween the extreme corners and the center is half the diameter as well: 10.8 mm. So no difference in this regard. 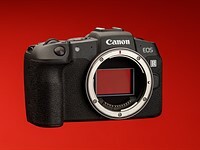 What if we look at an MFT 3:2 image shot with a multi-aspect sensor like that in the GH2 or GH1. Well, the corners are exactly as far away as in the 4:3 image: 10.8 mm. So nothing would change in the center-corner distance if Roger started shooting his test images with an MFT camera capable of doing 3:2 while utilizing the full diameter of the image circle. So what difference does the aspect ratio actually make. Well, it affects the sensor area utilized. Although the ratio between the FF and MFT image circle diameters is precisely two (43.2 / 21.6 = 2), the ratio between the area of an FF 3:2 image and that of an MFT 4:3 image is not exactly four, as one might think, but slightly less. The FF area is 24 x 36 = 864 mm^2 whereas the MFT 4:3 area is 13 x 17.3 = 224.9 mm^2 so the ratio is 864 / 224.9 = 3.84.